We Listen! We Care! We Cook! No One Leaves Hungry! My dream has always been to have my own food catering business. 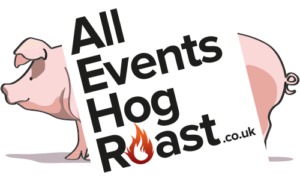 After 17 years’ experience in the catering industry my vision has come to fruition, hence the birth of ‘All Events Hog Roast and BBQ Catering Business’. We are a small friendly family business and pride ourselves that nothing is too much trouble for our clients. 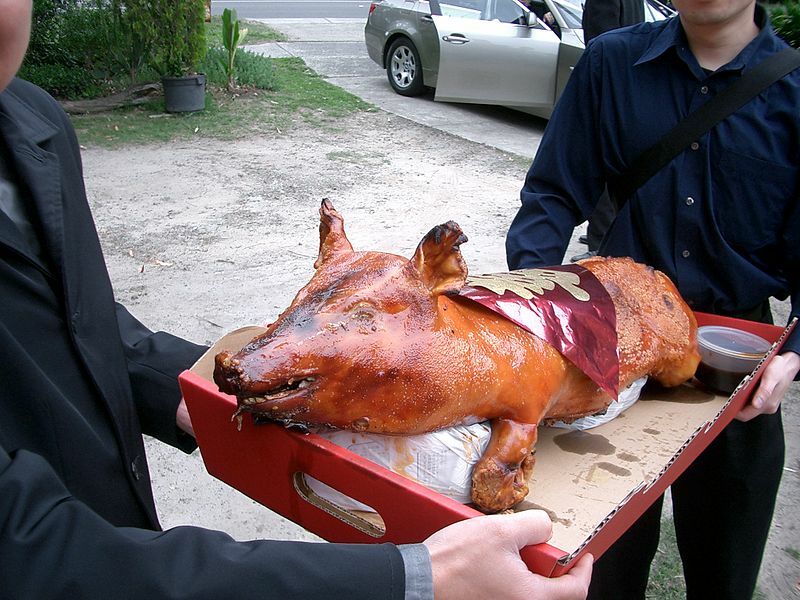 It is important to us to ensure that every event we cater for is a success. We pride ourselves by listening to our clients’ needs and helping with menu options, ensuring that all culinary requirements are catered for. All our clients are treated as individuals and will have peace of mind when booking our services that everyone will be able to relax and enjoy the event. 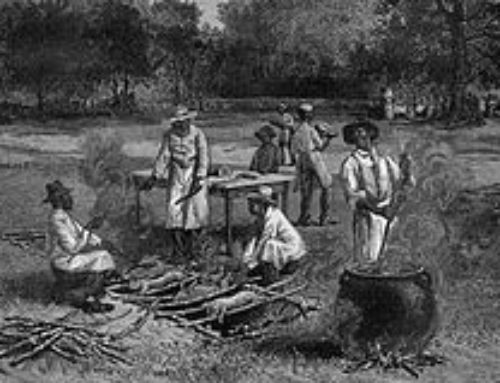 Word of mouth says it all, we have regular clients who come back year after year for our traditional spit-roast and BBQ menus. 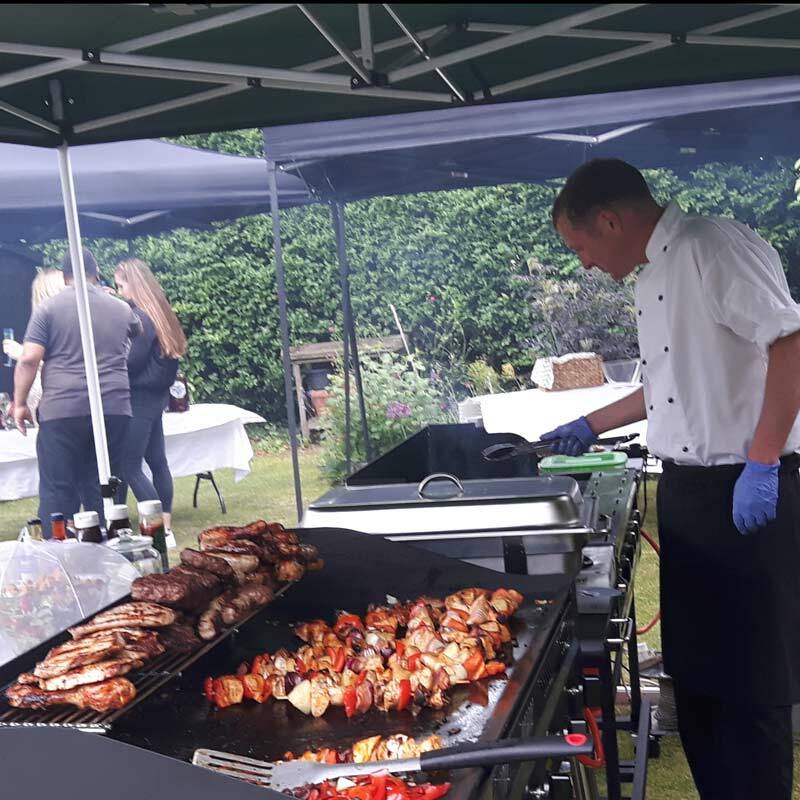 We work hard to ensure that every function we cater for is successful and our aim is for everyone to enjoy the function day, whether it’s for 50 or 400 people. 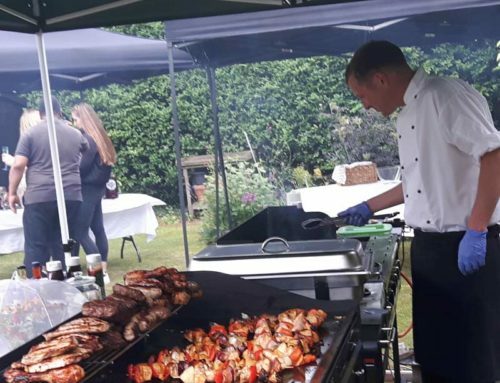 We have enjoyed cooking for a wide range of corporate events, celebrations and family get-togethers, and my spit roasts and BBQ’s continue to increase in popularity. Our business is based in Wiltshire and the team have been fortunate enough to have met some amazing people and traveled many miles to provide our food and service. 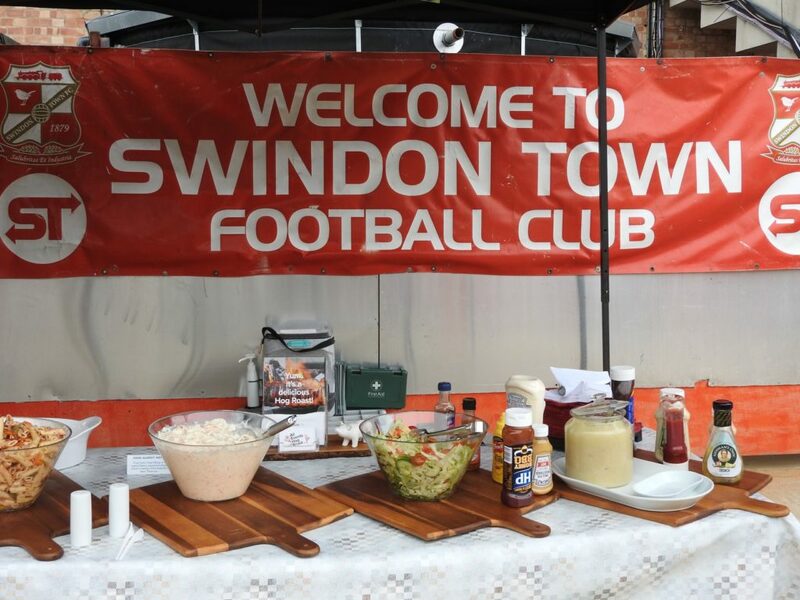 Local businesses who we have provided our hog roasts and BBQ catering to include: Swindon Football Club/Faringdon Football Club, The Springs Golf Club, Swindon Leisure Park, South Cerney Army Camp, Lydiard Park, Watson Fuel. We have also travelled far and wide to Basingstoke in Hampshire, Stroud in Gloucester; Sonning, Frome, Newbury and Windsor in Berkshire; Bath in Somerset and Cardiff in South Wales to provide our delicious food for events. We carry out a site visit at an early stage to meet our clients and ensure that the setting up area is suitable for us both. The pig or lamb is cooked very slowly, over many hours, producing ‘drop off the bone‘ flavoursome, scrumptious pork to tickle your taste buds. The aromatic aroma really ‘packs a punch‘ in the flavour, and the sound of the crackling ‘popping in the air’ add to the whole ambiance and atmosphere at any of our events. 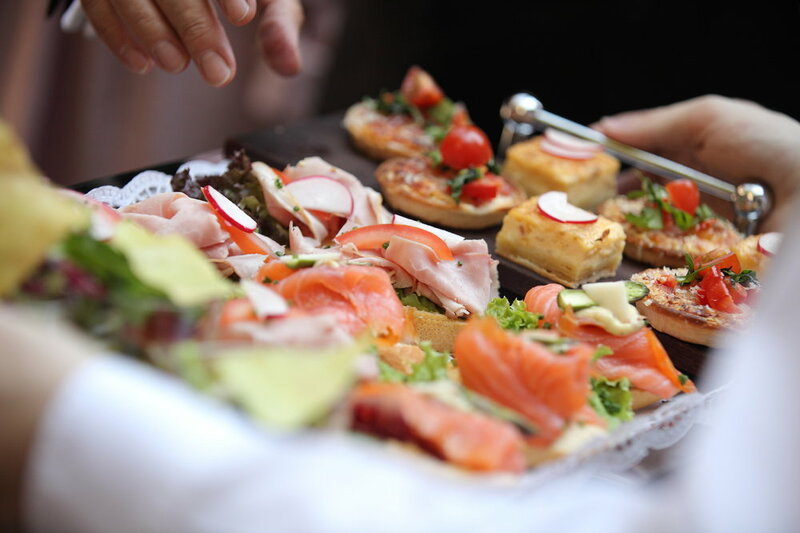 Coupled with wonderfully refreshing, vibrant salads and yummy desserts and cheeseboard, you will not be disappointed with our food as it will compliment your event. 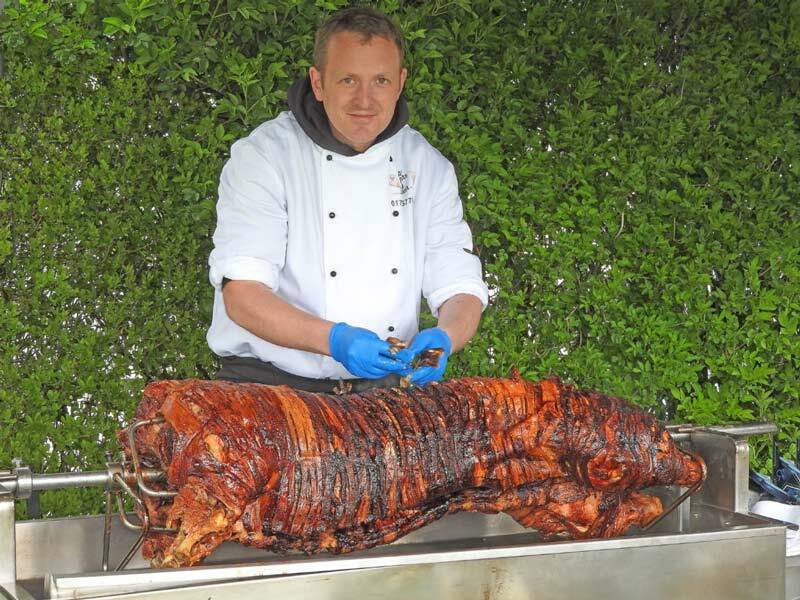 We can cook the meat on site, or arrive at least two hours before your event so we can raise our marquees, prepare the service area to your requirements and ensure the food is displayed ready for you and your guests to enjoy. Once service begins, our chef Mark changes in his chef whites and begins carving the meat and serves your guests. Our team are fun, professional and smart, all this put together allows our clients to enjoy the rest of their function day without any of the stresses and strains. When service is over, we pack away quickly, quietly and efficiently leaving no waste. All our equipment complies with health and safety regulations and safe food preparation and handling is our main priority. We are registered with our local Environmental Health Department, and undergo regular inspections of all our equipment. 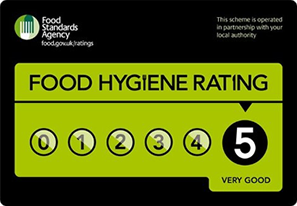 We hold food hygiene certification and public liability insurance.